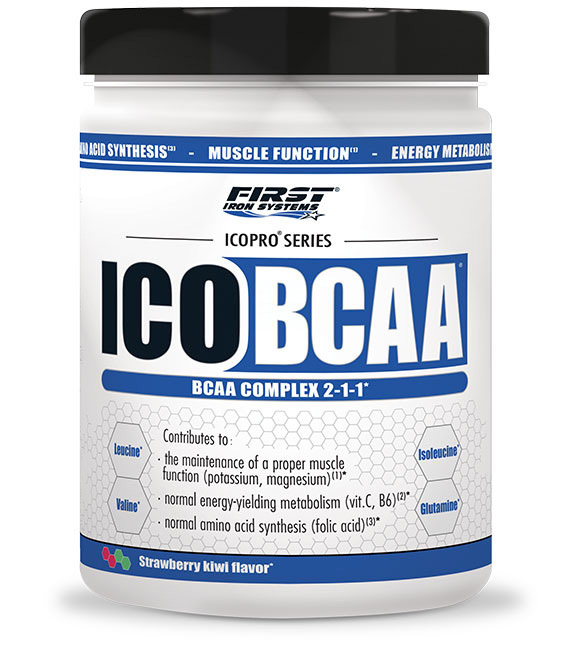 ﻿ ICOBCAA : BCAA complex 2-1-1, essential amino acids. he BCAAs are three essential amino acids (L-Leucine, L-Isoleucine, L-Valine) that the body cannot produce and must therefore be provided through the diet and supplementation. 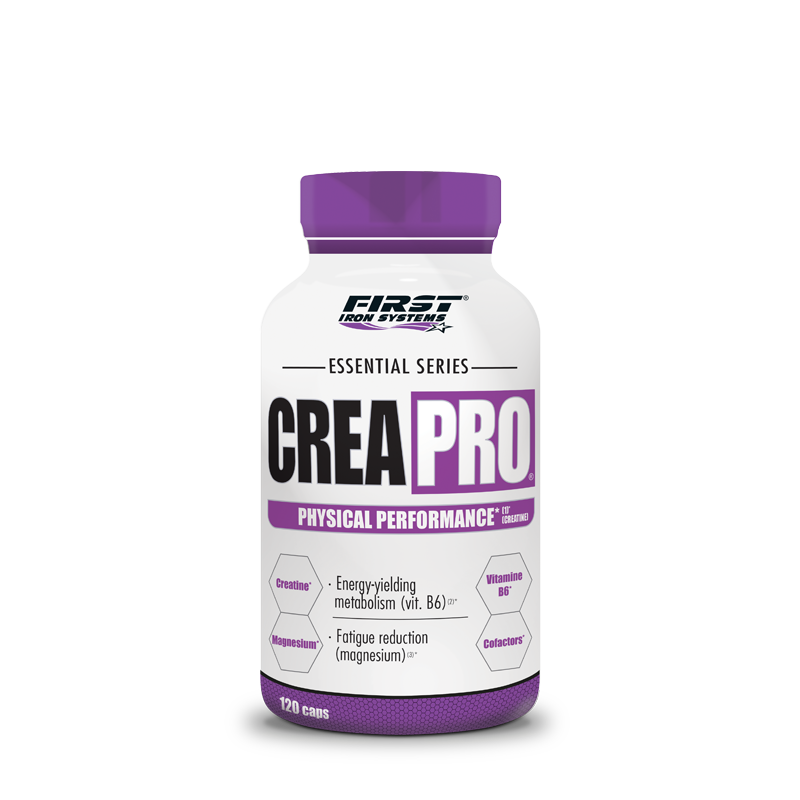 They are very important for the athletes because they make up more than one third of the amino acids found in muscle cells. Yet, their stores can be strongly impacted during training sessions and have to be renewed and maintained. It is the reason why each serving of IcoBCAA brings 5 g water-soluble BCAAs for improved mixability and absorption. 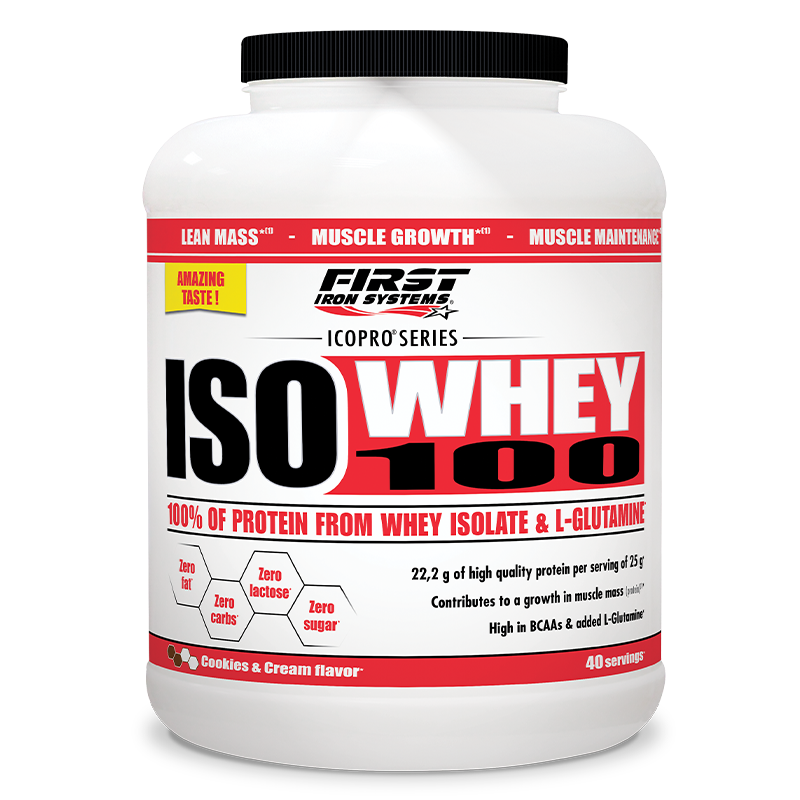 It combines L-Leucine, L-Isoleucine and L-Valine in a 2:1:1 ratio. The formula also contains rhodiola rosea which improves performance and resistance to physical stress. 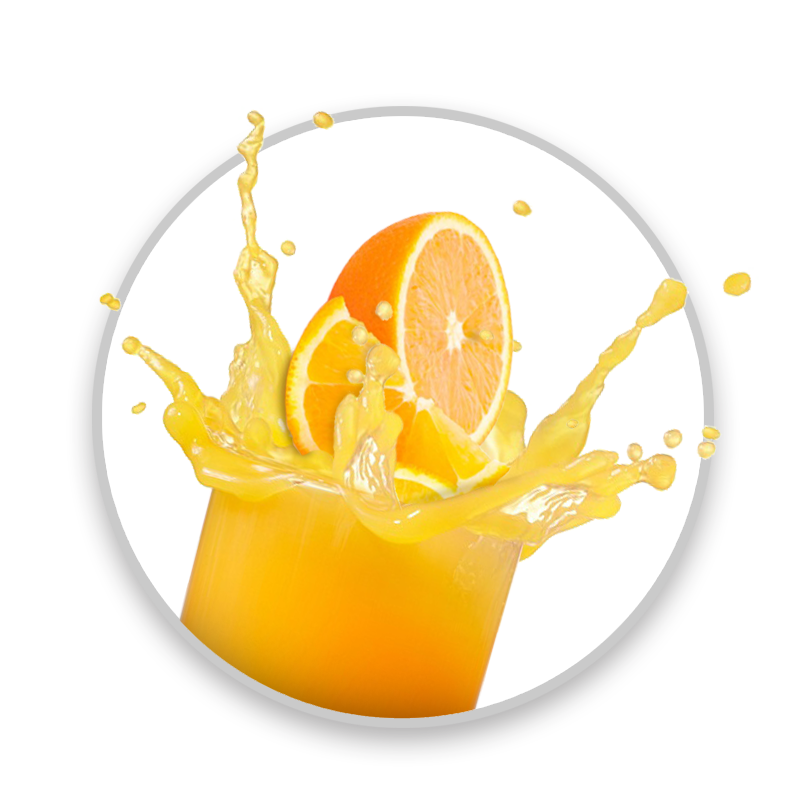 IcoBCAA is completed with vitamin C, vitamin B6 and calcium, which take part in the energy-yielding metabolism. Calcium, just like magnesium and potassium, contributes to proper muscular function as well. Vitamin C plays a role in the protection of cells from oxidative stress linked to exercise. Folic acid intervenes in the normal amino acid synthesis. All these nutrients have been fully dosed and work in perfect synergy for optimum results. IcoBCAA has been designed to be the most complete and powerful BCAA complex ever. It is not based on marketing hype just like these products containing a disproportionate amount of L-Leucine compared to L-Isoleucine and L-Leucine. Instead, its 2:1:1 ratio ensures maximum efficiency. The formula is also enhanced with 8 key complementary ingredients. Each of them has been selected for its potency and included at full amounts. IcoBCAA will help support your goals along with your diet and training program. Magnesium contribute to normal energy-yielding metabolism. Mix a 10 g serving in 300 to 350 ml of water. Consume either just before, during or immediately after exercice. 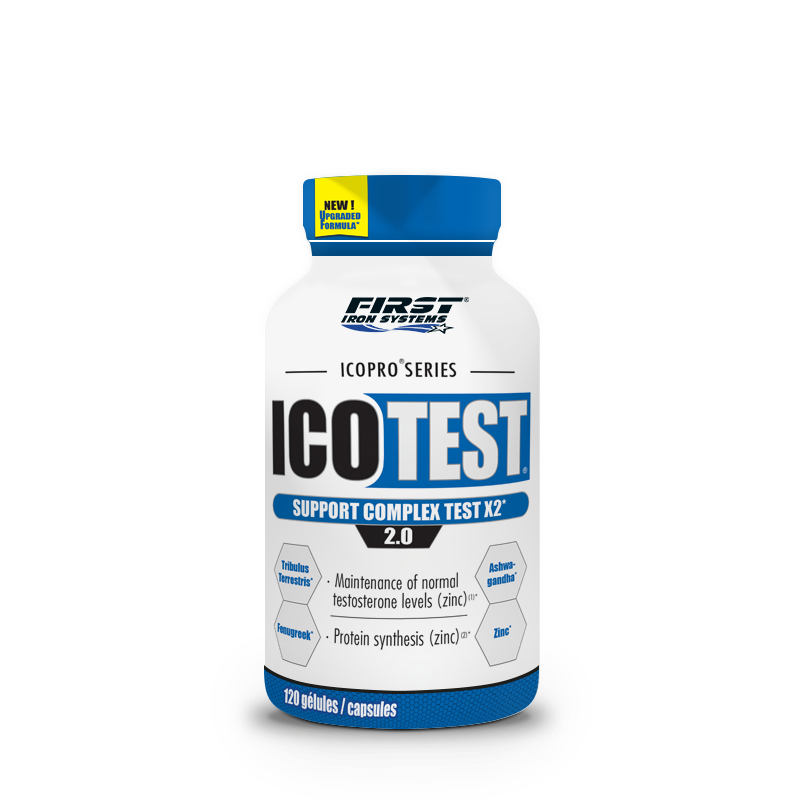 IcoBCAA contains no stimulant and can thus be used at any time of the day. The BCAAs (Branched Chained Amino Acids) are a specific group of three essential amino acids : L-Leucine, L-Isoleucine, L-Valine. As L-Leucine is critical for optimum muscle protein synthesis, it must be included at a higher dosage compared to the 2 others. But that does not mean that L-Isoleucine and L-Valine have no role to play, far from it. It is actually important to have a right balance of all three amino acids for maximum efficiency. It has repeatedly been shown that the 2:1:1 ratio (twice as much L-Leucine as L-Isoleucine and L-Valine) is ideal. However, some try to differentiate themselves by launching products with different ratios such as 4:1:1, 6:1:1, and even more extravagant : 8:1:1, 10:1:1 or 13:1:1, pretending their formulas are more powerful. But as many experts have pointed out, this is just marketing hype. It simply means that they contain much more L-Leucine, but also far less L-Isoleucine and L-Valine, which leads to unbalanced proportions. Moreover, it has never been demonstrated they could give better results. That is why we have chosen to keep with the 2:1:1 ratio in all our supplements to ensure optimum progress. Our researchers work closely with the best flavor experts and we carry out a lot of tasting tests with real users until we get the best result. The goal is to propose unique and gourmet tastes, that you’ll just love session after session. 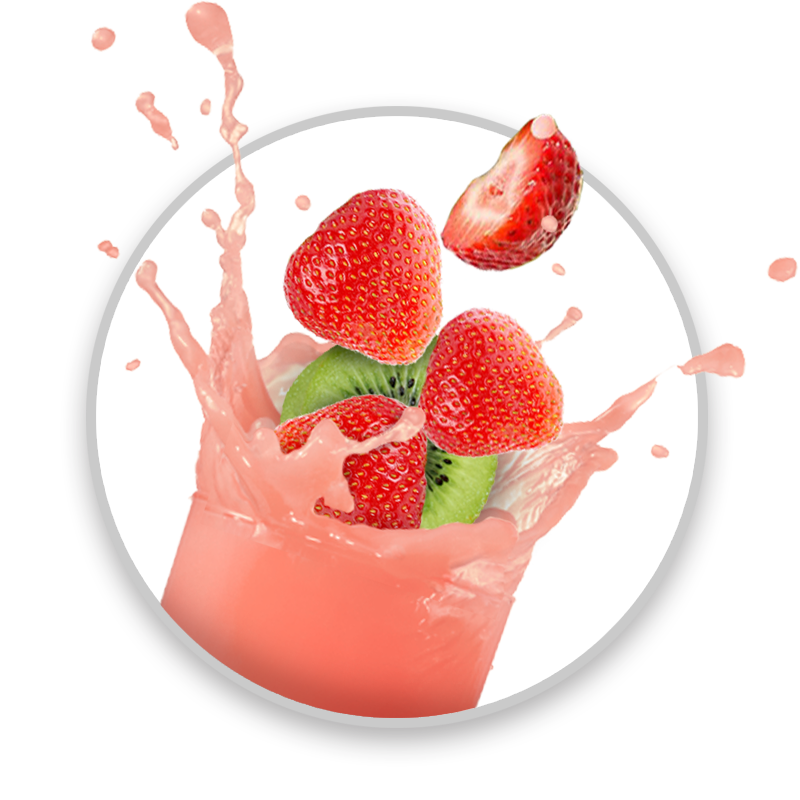 IcoBCAA is available in Strawberry Kiwi and Orange flavors. 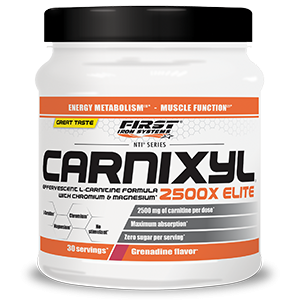 A must-take before, during and after training for a better recovery and less mucle soreness. To achieve outstanding quality, we pay close attention to each step of the manufacturing process of IcoBCAA from raw material selection to production. We also carry out strict controls to make sure our products meet the highest standards of quality. That is why you can be sure that each component listed on the label is fully included in the bottle.